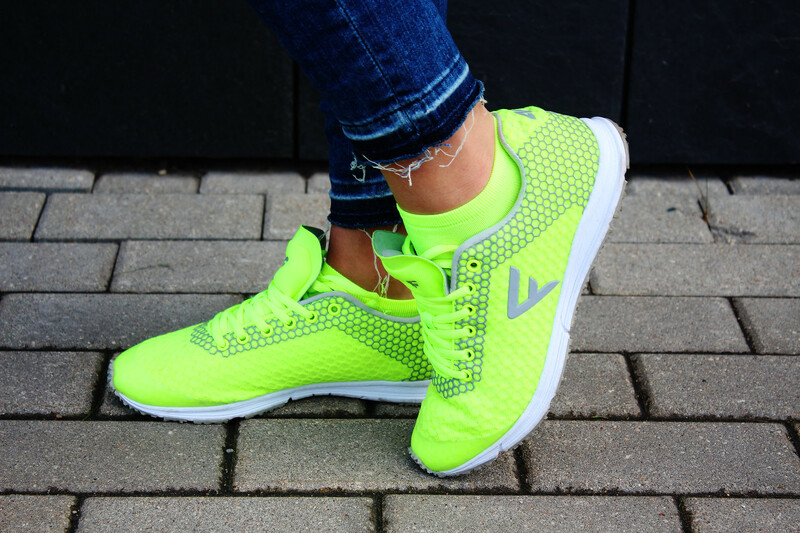 Let’s play with neon, shall we? Remember how in this blog post I told you that elements from 4F sportswear I could easily imagine in other non sporty theme related outfits? Well, today I have prepared an outfit post in which I am playing with the colorful neon! That was achieved with the help of my new 4F sneakers and a neon shoulder bag I bought a while ago at H&M, since then I have used the bag a handful of times (for example, see this, this and this blog post). I surely have to mention the awesome t-shirt that my long term partner Lovelywholesale had sent to me. I think that the t-shirt is quite cool and I have to say that I am such a huge fan of Marc Jacobs, but since clearly I can’t afford designer items yet, this surely is a really interesting and fun alternative. Today was a holiday in Latvia, we are celebrating the restoration of the Independence day, therefore, it was surely nice to have a holiday in the middle of the week, especially since the weather has been treating us so good! Atceries, kā šajā rakstā teicu to, ka elementus no 4F sporta tērpu spēju ļoti viegli iedomāties arī citos ar sportu nesaistītos tērpos? Šodien esmu sagatavojusi outfit ierakstu, kurā spēlējos ar neona košajiem akcentiem. Līdz ar to pamatā ņēmu košās sportas kurpes no 4F, kā arī neona krāsas somiņu, kuru pirms jau laba laika nopirku H&M un, kuru esmu izmantojusi jau vairākkārt (skaties ootd ar šo somiņu šeit, šeit un šeit!). Love the pops of color. This is my favourite neon shade. Love the whole outfit! Love the neon with the black, super casual and fresh. You look model gorgeous!